The power of ASP.NET MVC 5 stems from the underlying ASP.NET platform. To make your ASP.NET MVC applications the best they can be, you need to fully understand the platform features and know how they can be used to build effective and elegant MVC framework applications. The ASP.NET platform provides ASP.NET MVC applications with a rich suite of services including vital every-day features like extensible request handling, state management, and user authentication. Understanding how these features work is the difference between creating an average web application and the best-in-class. MVC applications that are architected with a thorough knowledge of the underlying platforms are faster to write, faster to run, and more readily adaptable to change. 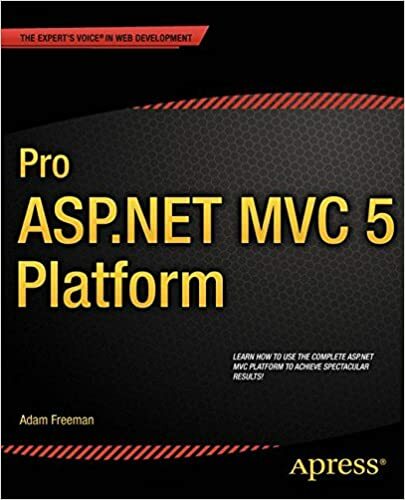 In Pro ASP.NET MVC 5 Platform, best-selling author Adam Freeman explains how to get the most from the entire ASP.NET platform, beginning with a nuts-and-bolts description of the patterns and tools you need through to the most advanced features. He goes in-depth at every stage to give you the practical knowledge that you need to apply these concepts to your own code.